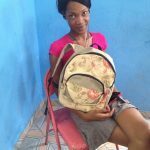 Today it is three months since the opening of the Sewing for Souls school in Haiti. So much has happened since we left Haiti! Upon returning to Florida, I purchased sewing kits for the eight women that we allowed to join in addition to the twenty-five originally enrolled. These were sponsored by donors who generously responded to my post on Facebook. 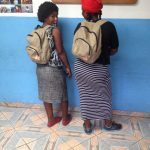 When I delivered them to Missionary Flights International, I selected donated upholstery fabric to ship to Junior, our translator who has a backpack business, in exchange for him designing a bag and teaching the women how to make it. The photo featured here shows the women displaying their purses. Don’t they look proud of their accomplishments? The women are working hard to learn dressmaking skills in addition to making items for sale to earn extra income. They have started attending on Wednesdays to work with Junior in addition to Mondays and Tuesdays. 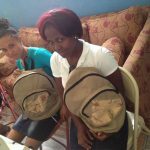 There are still a lot of needs associated with the sewing school. I am taking donations of fabric and notions, but we are finding that items we need to purchase are much less expensive in Haiti even without taking shipping and customs fees into account, so we will mostly be bringing donated fabric in our luggage when we return in November. 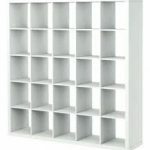 We need shelves built to hold the sewing machines when they are not in use, which will cost $165. We have also paid to have a mechanic maintain the machines and Junior is now teaching the women to oil and clean the machines themselves. We would like to provide additional tables and chairs for the women to use while they sew. We have several older sewing machines in Haiti that are either not working or are missing parts. We are trying to decide whether they are worth paying for repairs, or if it would be better to purchase additional machines. If you would like to donate to help with any of these items, you may do so electronically on this site, or message me and I will send you the address of World Baptist Fellowship. 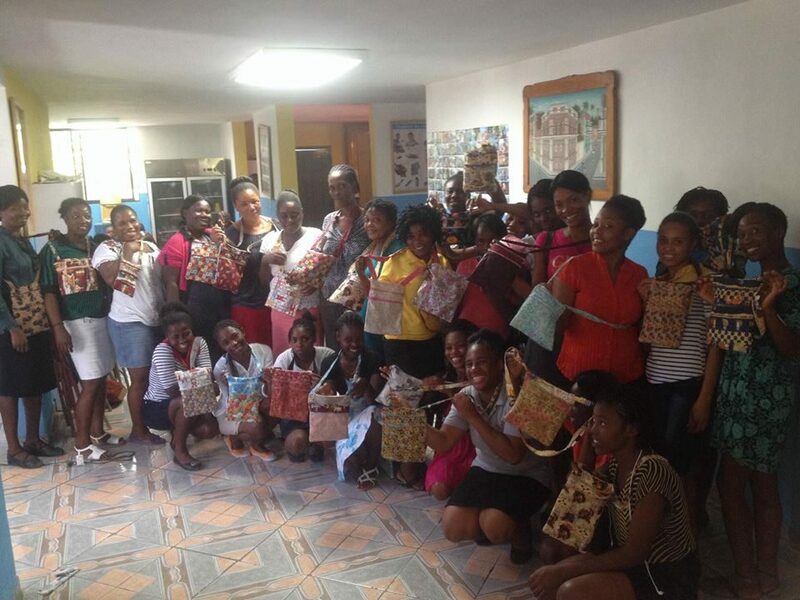 We are grateful for your partnership with us in this ministry to serve women in Haiti to help them to provide for their families by learning a marketable skill.